Our Physiotherapists (“Physios”), provide individualized one-on-one Physiotherapy and Rehabilitation services at our Oakville location to help you achieve your goals. Our focus is getting you back to your desired activities through hands-on therapy, and exercises to aid in strengthening and gaining flexibility and mobility. The Physiotherapists at Palermo Physiotherapy and Wellness Centre are “manual therapy” driven. We strive to use an appropriate amount of time with our patients for the treatment and rehabilitation of sports injuries, repetitive strain injuries, workplace injuries (WSIB), motor vehicle accidents (MVA), general weakness and de-conditioning, falls prevention / balance etc. We provide individualized one-on-one Physiotherapist-to-Patient services at our Oakville facility to help you achieve your goals. We are located just a stones throw from Milton and Burlington. 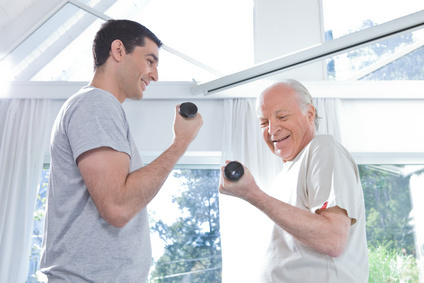 Our focus is getting you back to your desired activities through hands-on physical therapy, and exercises to aid in strengthening and gaining flexibility and mobility. Physiotherapy is direct access, meaning you do not require a referral from a doctor to access Physiotherapist care. Please contact our Oakville office should you require Physiotherapy care or have any questions.